Help protect the interior of your car with Solvit's SUV Cargo Liner. 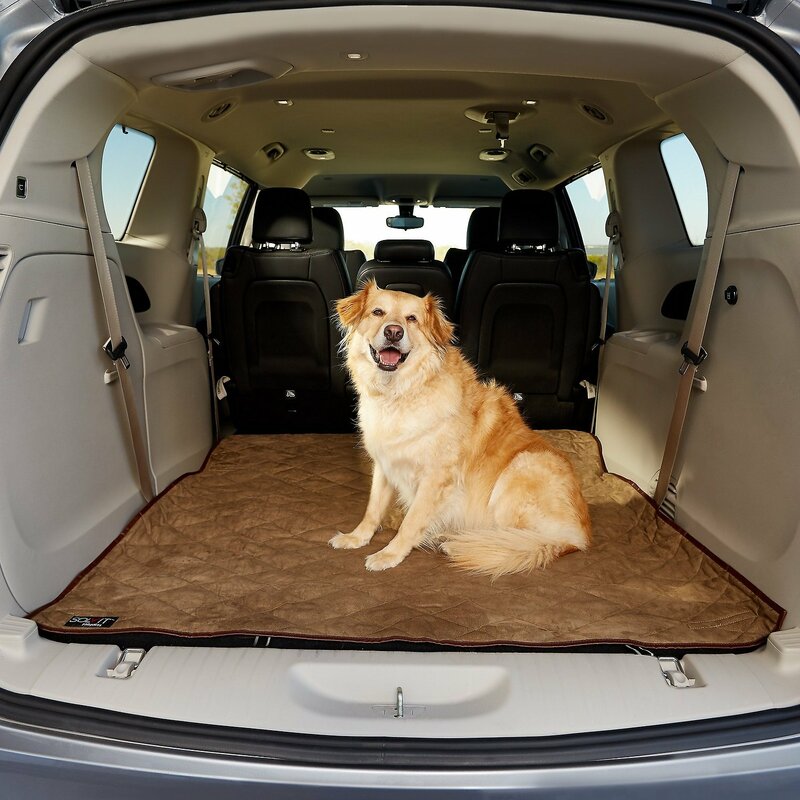 This liner is made from the same material as Solvit's Deluxe Bench and Hammock Seat Covers, a super-soft, micro-suede top fabric that's soft to the touch for your pet, but designed to help keep your car in tip-top shape. The multiple hook and loop fasteners on the underside help keep the liner firmly in place. Best of all, it's been reated with Stain-Blok to combat stains, plus it's machine washable for a hassle-free clean. Made with a super-soft micro-suede top fabric, this durable liner can stand up to everyday use. Padded and quilted construction provides a soft cushion for your pal during travel. Nine hook and loop fasteners help keep the cover firmly in place in all vehicles. Machine washable and treated with Stain-Blok. Measures: 52 x 50 inches. Promptly wipe up any foreign matter or standing liquid with a damp cloth or sponge. Machine wash the cover in a commercial size front loading washing machine. Use cold water with a mild detergent. Line dry. While the material on the top of this liner is a great quilted suede-like material, the bottom is made of a slick synthetic material (think windbreaker) that slides all over the place. It bunches up and trips the dogs. I'm constantly having to reposition it because the Velcro isn't sufficient to hold it in place. A real disappointment. I haven't had an opportunity to use this yet, it is for the next time I help transport dogs from overcrowded and kill shelters to a better life elsewhere. I know they will love it. While the liner is nicely made, it only has velcro fasteners. 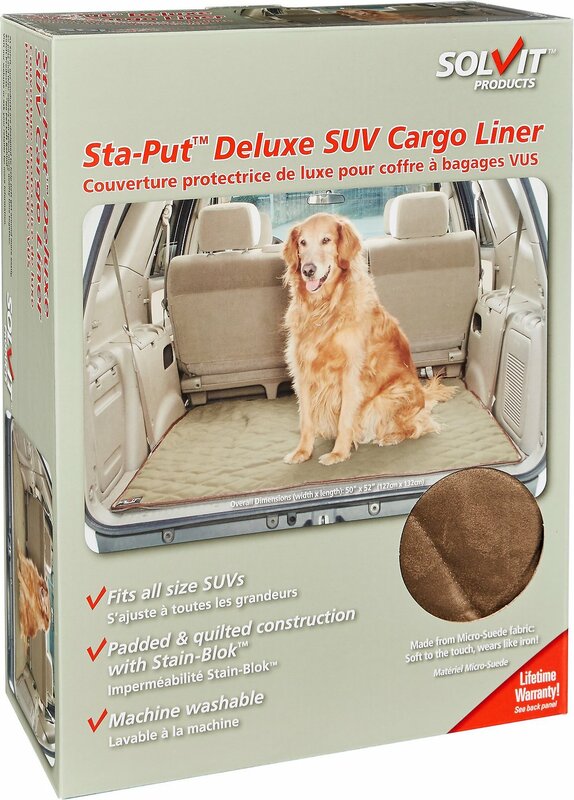 It doesn't work well in my SUV and the backing material is very slippery, making it hard for large dogs to stay seated while making turns. This cargo liner is very durable and easy to install. It is of great quality far nicer than any previous liners I have had. The Solvit cargo liner from Chewy's is, by far, the most economical quality liner of it's type I have ever seen, and I did extensive research online before ordering. I was not disappointed. 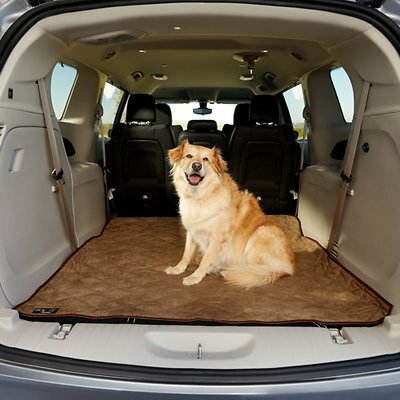 Custom fitted, and even ready made cargo liners, especially when targeted to pet owners can get outrageously expensive. 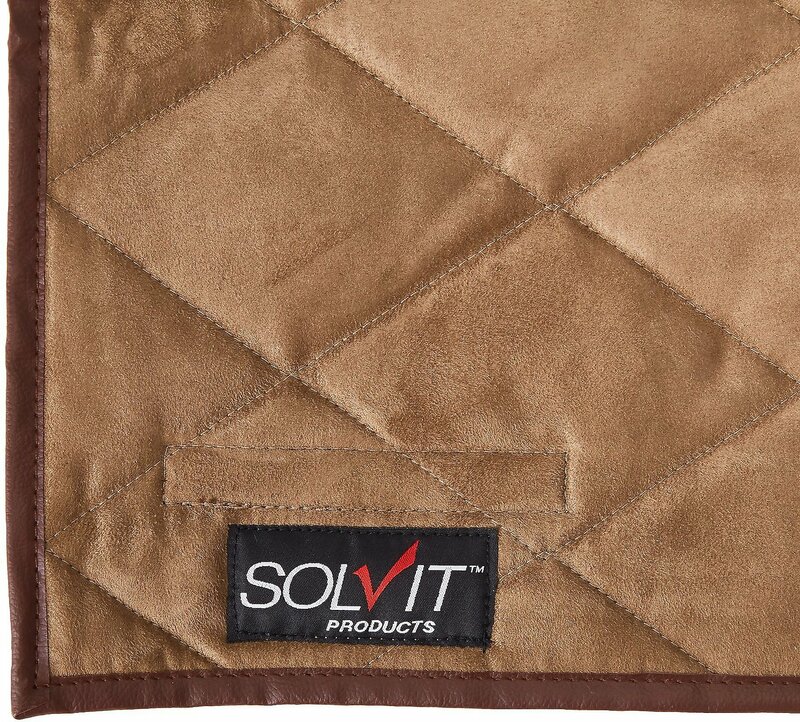 The Solvit is padded with a soft surface and backed with velcro to accommodate any size cargo area. For those with smaller areas, it can be folded under if necessary. I consider it a real bargain. Great product and very durable! Product was everything I was looking for.